I’m going out on a limb and say that this is the best Fishbowl Inventory update ever. Earlier this week, I spent some time at Fishbowl’s Open House in Orem, Utah. 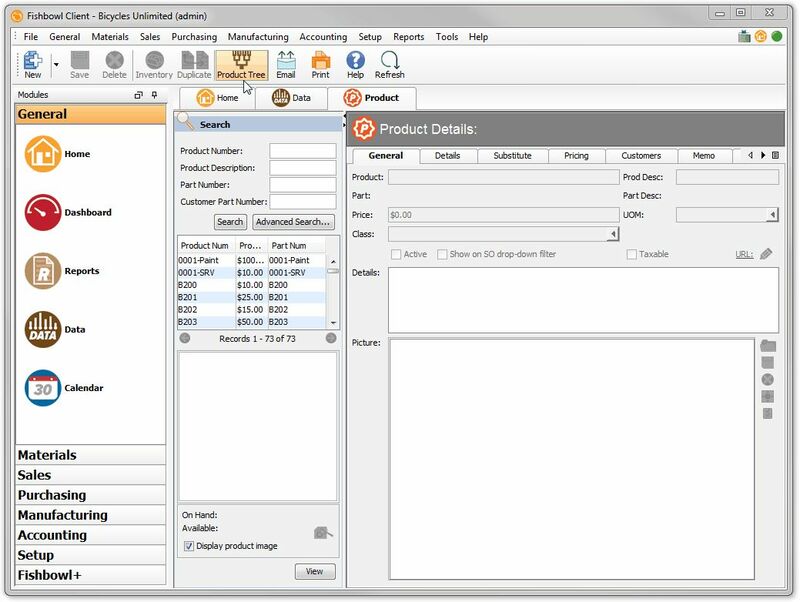 While there, Fishbowl Inventory Customers, Partners and Guests were given a personal introduction to the latest Software Version. I learned a lot and you can read about the open house itself here. Below are a series of screenshots and recorded animations to give you an idea of what is available in Fishbowl Inventory 2015.1 . When I read the change notes about this feature, I was more than a little excited to try it out. 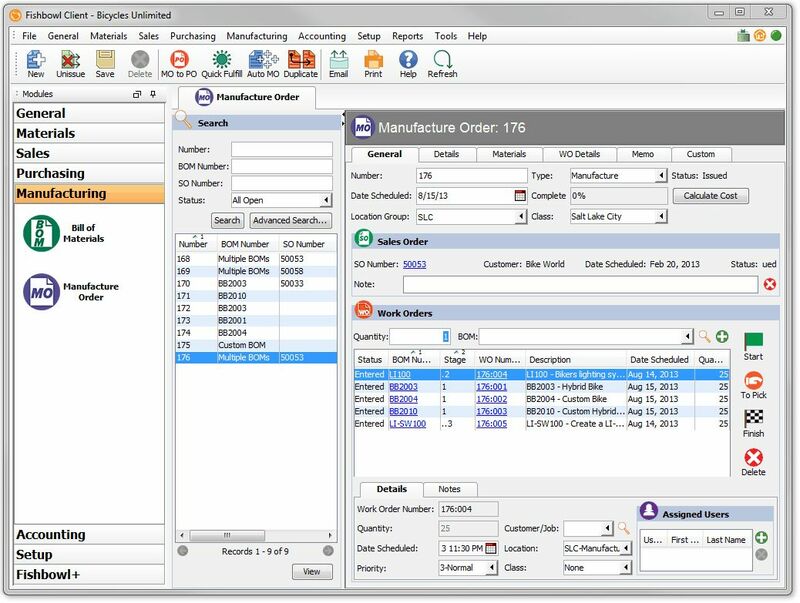 The Document Auto Sync works in the Sales Order, Picking, Shipping, Purchase Order, Receiving, and Manufacture Order modules. Below, you can see where I’ve tested the Sales Order (SO) module with two users: my “ilopez” user on the left, and the “admin” user on the right. I first load the same SO on the two accounts, then on the right I add an item and save. On the left, I delete that item and save. Both sync the changes. If there was a conflict, Fishbowl would prompt that a change has occurred while you were in the process. In this example, I log in as two users using two windows. This is the same as two computers opening the same Sales Order at the same time. If I add an item and save, the other window sees it and refreshes that screen. If the other window deletes an item, it saves the other window’s updates. I’ts very cool. If by chance you happen to add/edit the same item at the same time, Fishbowl will let you know that the order was previously modified while you were editing if there is a conflict. This feature was a neat addition and a nod to power users of Fishbowl Inventory. 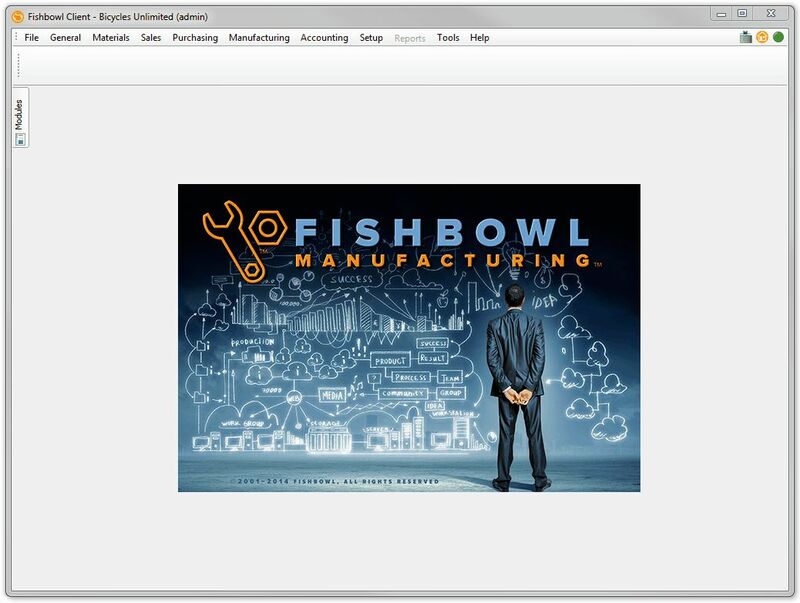 If you have the inclination to write queries for Fishbowl Inventory, you can with this module. 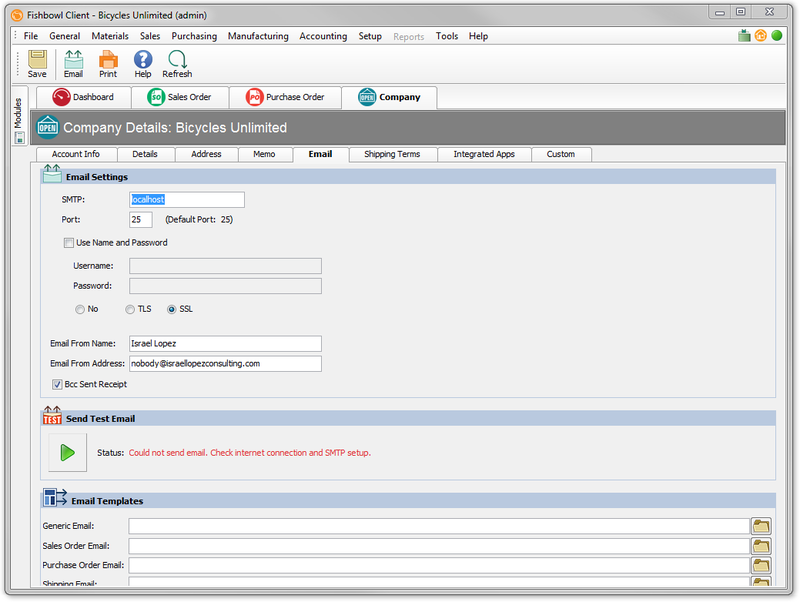 You can write a query, save a query, and export that query through the available XLS and CSV formats. This is controlled by user access rights, and can be accessed over the API. If you are interested in learning more about how to write Queries for Fishbowl Inventory; please visit our Courses page for more information. Below, I write a general query, make a rookie mistake, correct it and can see the new results. In this release, Fishbowl included a new General option called the “Home” module. 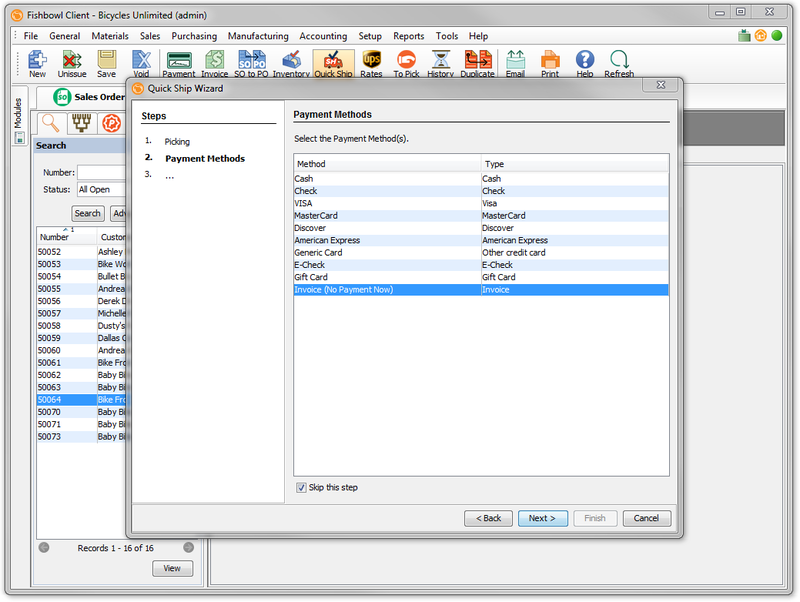 It seems to be at least imitating QuickBooks here by including a clickable workflow of the application. I actually would prefer this Home Screen to be the new default tab that loads. 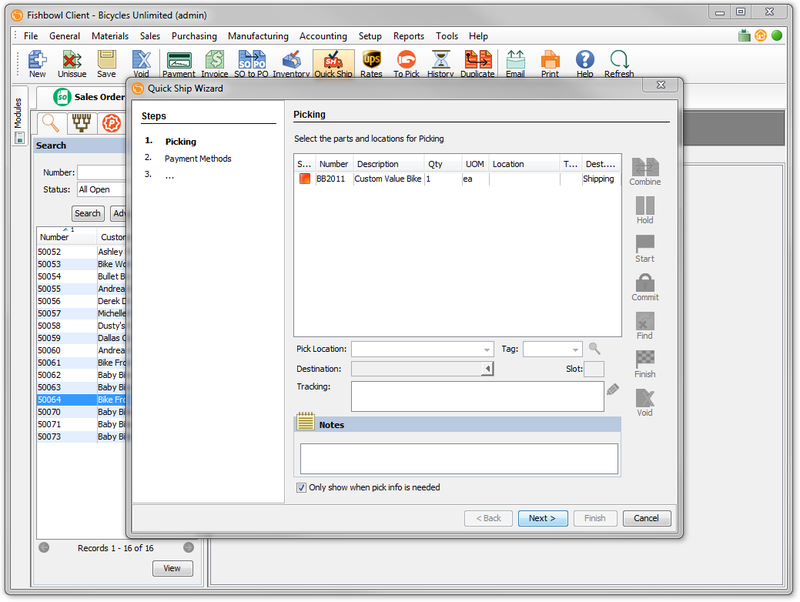 It gives a clear workflow process to what Fishbowl has available. These buttons are all visible, but will prompt an error if the user does not have an access right to that module. Fishbowl has put an email and a refresh button in every module. As a Fishbowl Inventory consultant, the “Refresh” question has been one of my little pet peeves that caused a lot of confusion for my customers because I would say things like “Refresh” this PO, and they would look for a button or an icon. This update saves so much confusion and time for my users. The email functionality works by simply using the default module’s Report as the email attachment. 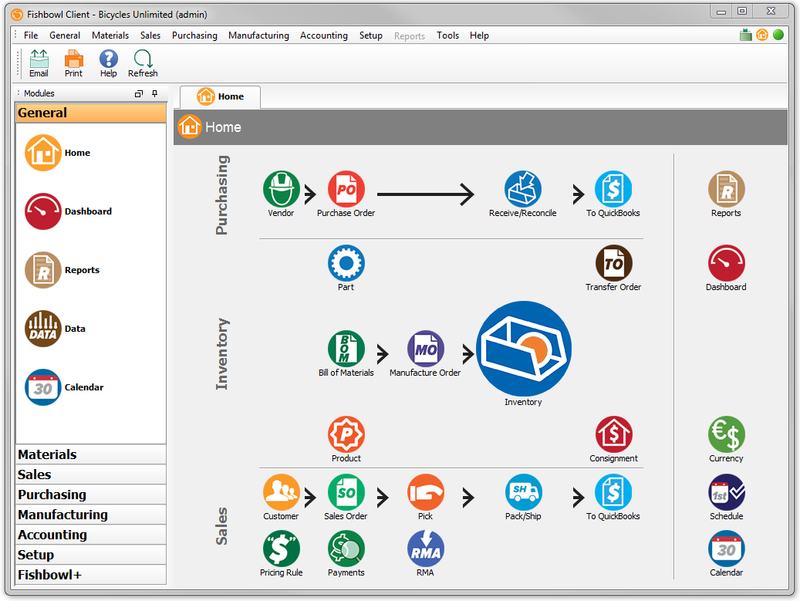 Are you in the bill of materials (BOM)? You get the BOM Report as an attachment; it’s a really helpful addition. Lightweight Direct Access Protocol (LDAP) is the technology that is used by many enterprises to control access to resources, and have a database of users within a company. In my former roles, I have spent a lot of time working with Line of Business applications and connecting them to our LDAP Directory, and in many cases, that was Microsoft Active Directory. 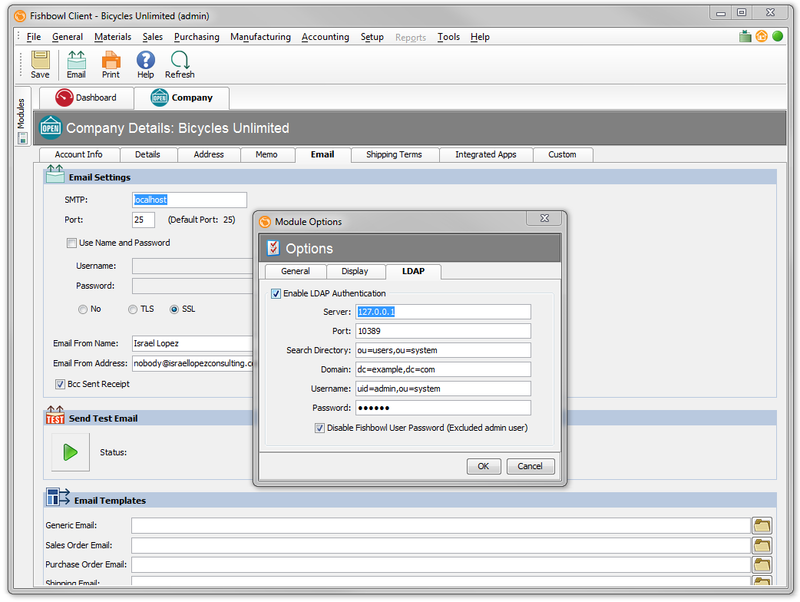 This enabled a system admin, and a business, to keep its usernames and passwords in sync between the enterprise and various third-party applications. 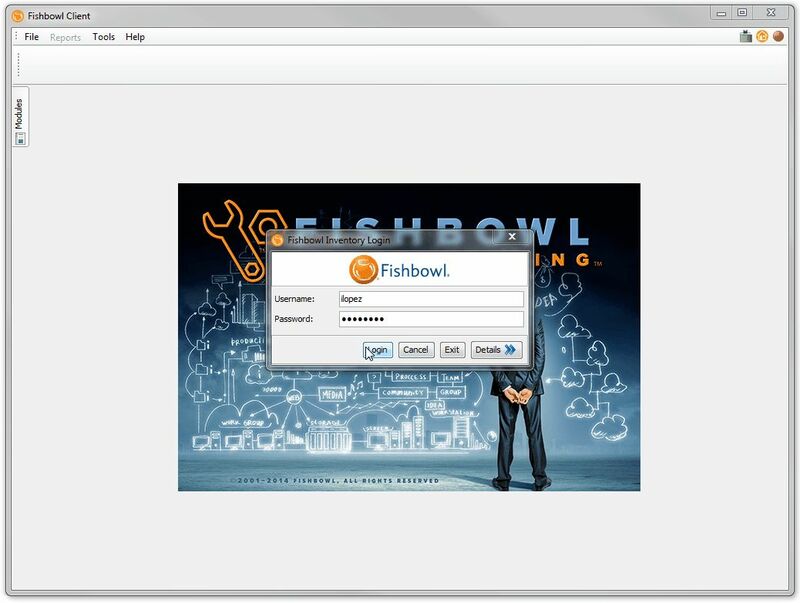 By Fishbowl Inventory providing a basic Active Directory Authentication, it is aiming squarely at companies that have large (>25 users) groups of users who need to be given Fishbowl Inventory access with passwords kept in sync. The idea is to to use one password for everything, so you can administer one password for everything which saves time and administrative headaches across the company. This one slipped by me once or twice while supporting Fishbowl Inventory customers. I never realized that it would be beneficial to close short an individual line item on a PO/SO and not the entire document. This would allow for better order flows, and material updates if we know an item is going to be individually closed short. So our demand planning, and inventory flows can be more accurate because we are giving Fishbowl a more accurate picture. Great feature! 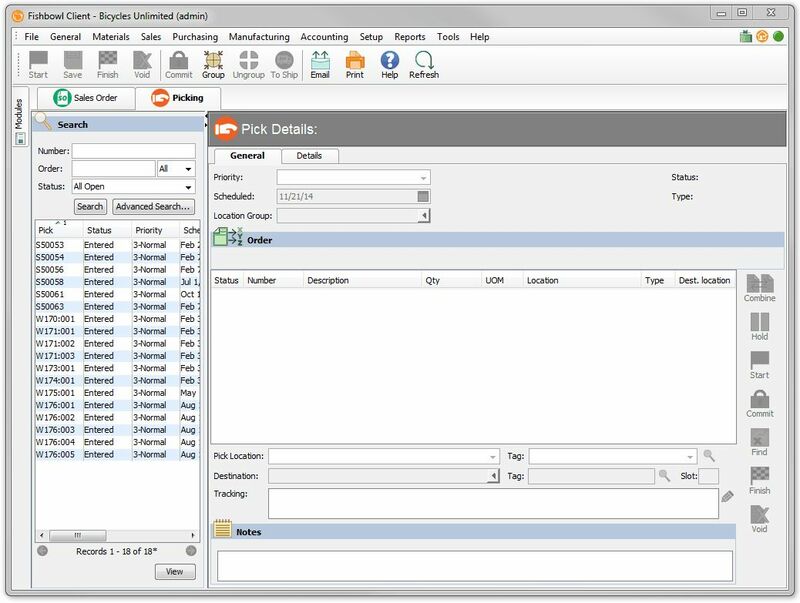 Custom Field Locking is the new mechanism in Fishbowl Inventory which allows a custom field to be controlled by an Access Right. 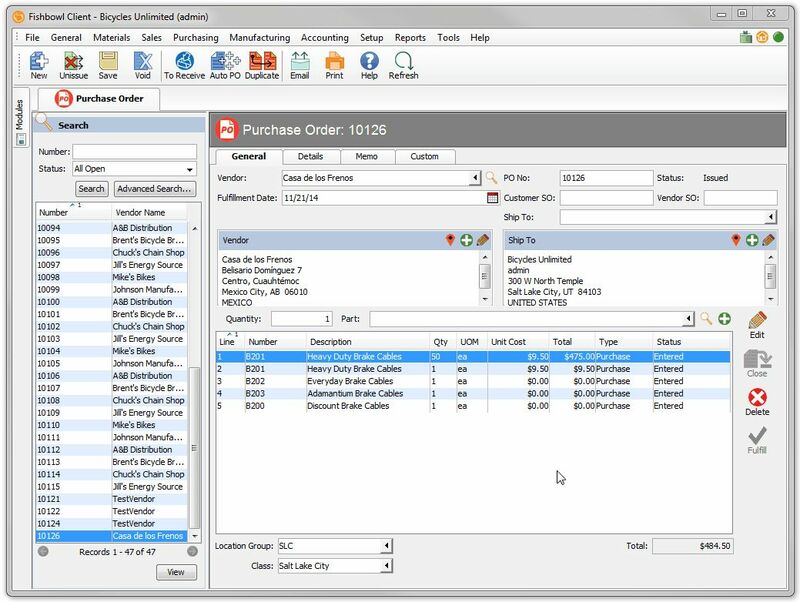 Below, I go through two scenarios where a Sales Order Custom Field is simply locked from editing if you do not possess that access right. 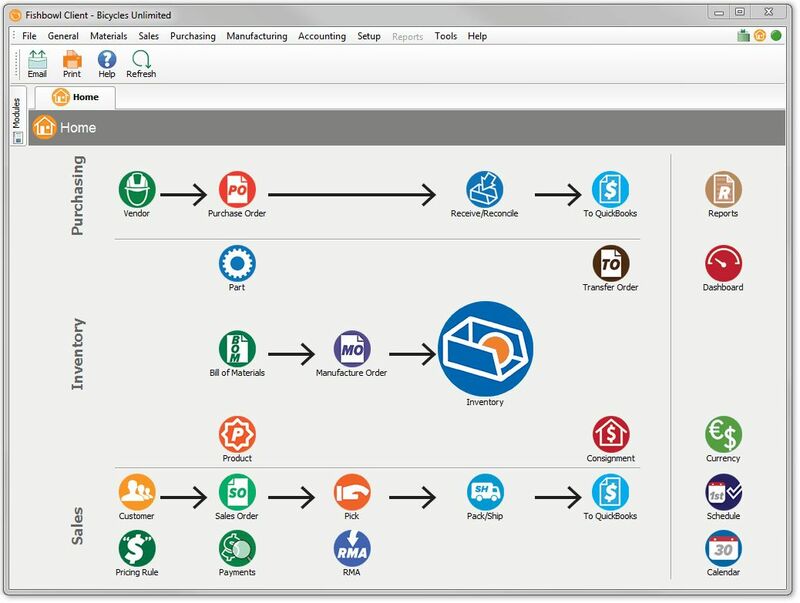 The next scenario is if the Sales Order cannot be issued unless there is a value for a given Custom Field; therefore enabling workflows such as Customized Order Processing, Multi-Level Approval and Review, and Separation of Duties. Now you can add/remove items from the Product Tree in groups. Use Control+click or Shift+select on the lists to add/remove items. 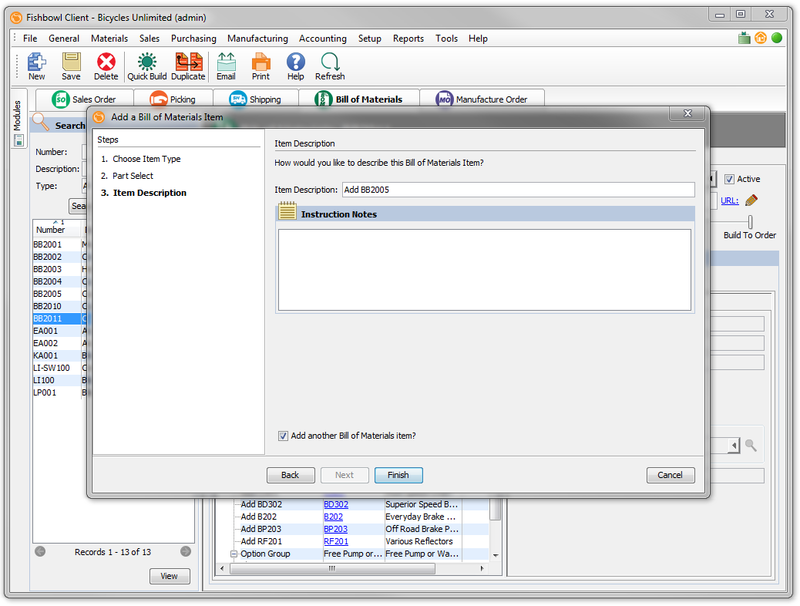 This is a new feature that used to be in Fishbowl Inventory 2009 where inventory was committed immediately upon issue. It was later removed to a Soft Allocation and Hard Committed workflow. Now it is back with controls to dictate which modules can be allowed to Auto Commit if there is enough inventory. Then, if the order can be Finished, to auto Finish any Pick. Some of my clients who have simple inventory control needs find the “Pick/Pack/Ship” process a bit cumbersome. So the “Auto Pick/Finish” functionality is very helpful. 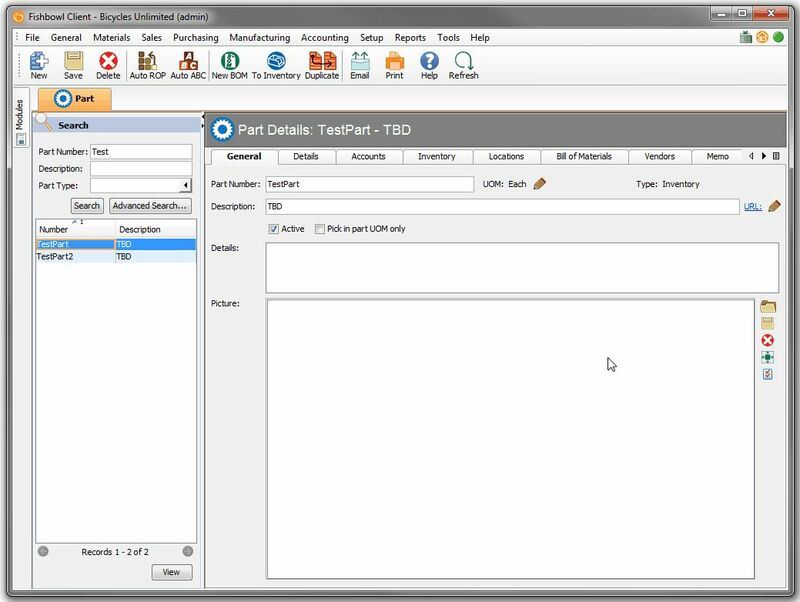 Previously, the Auto PO function worked for the entire company and all of its warehouses. 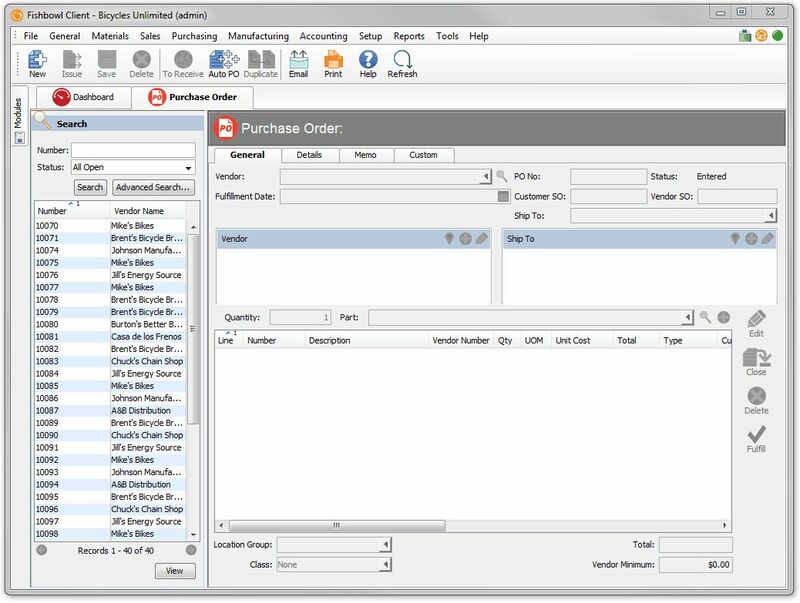 You can now create Purchase Orders per Location Group, and re-use existing Purchase Orders for the same Vendor provided they were not yet In Progress. Also, if you order for the entire company and all of its Location Groups; the Purchase Orders will be created: one per vendor and location group. 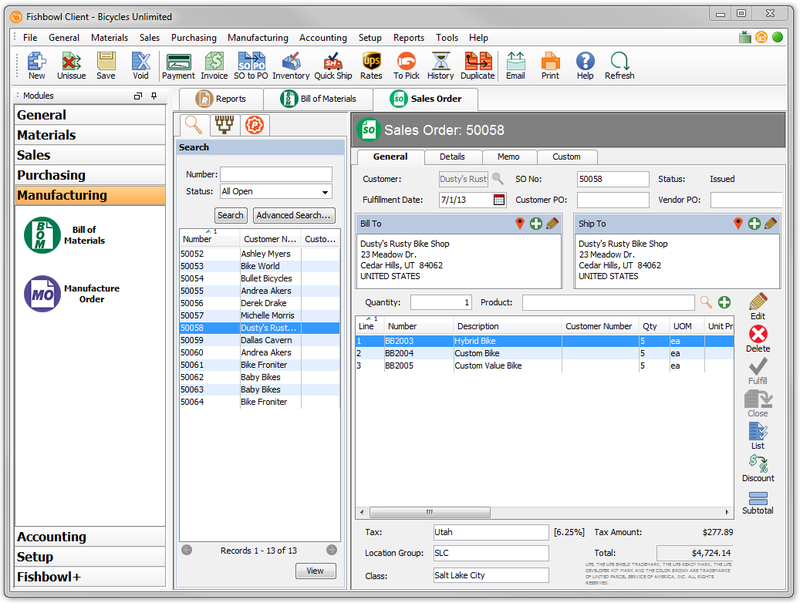 A new Manufacture Order to Purchase Order feature (MO to PO) has been added. 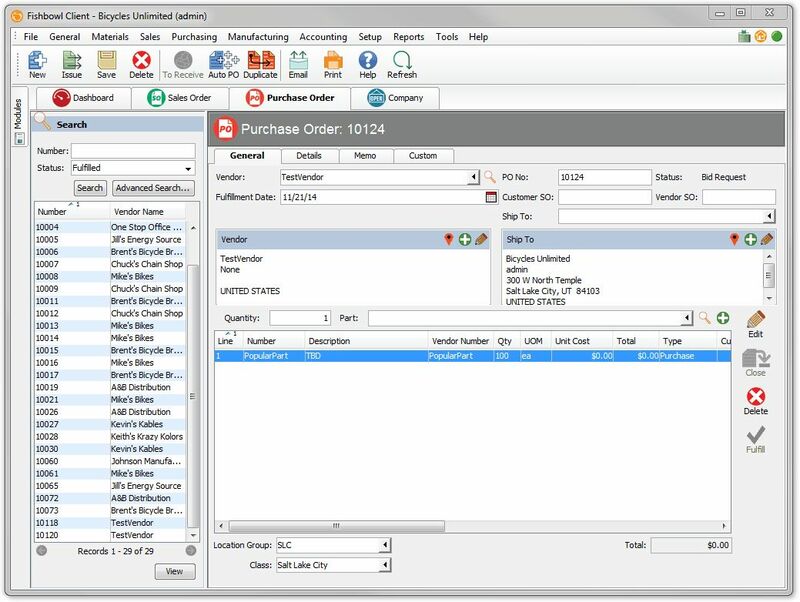 Before, the only way to create a Purchase Order for an Manufacture Order was to do it via the Sales Order if the item was to be sold on a Sales Order. Now that process can happen independently. 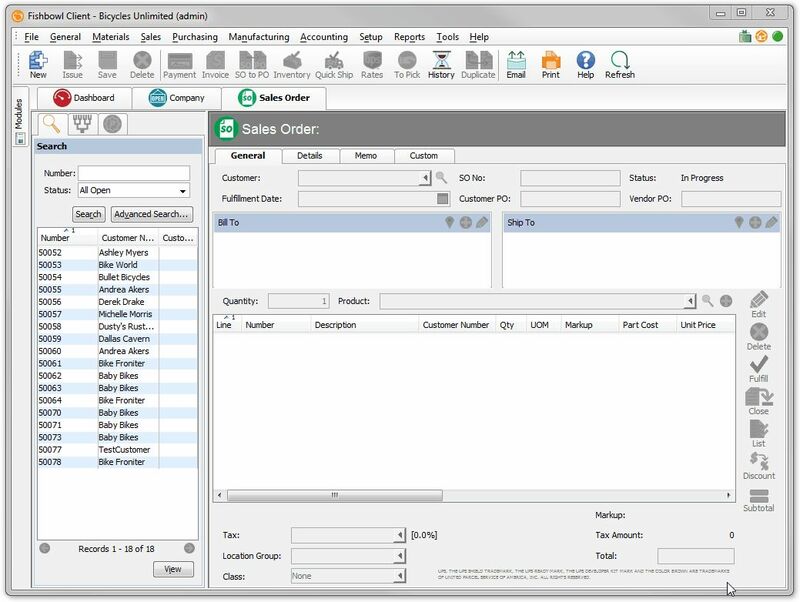 In the Purchase Order Module, you can now edit the Line Item Total Cost similar to how you can edit it in the Sales Order Module. If a Purchase Order has both a Purchase and Credit Return/Outsource item, you can now use the To Receive and To Pick buttons. 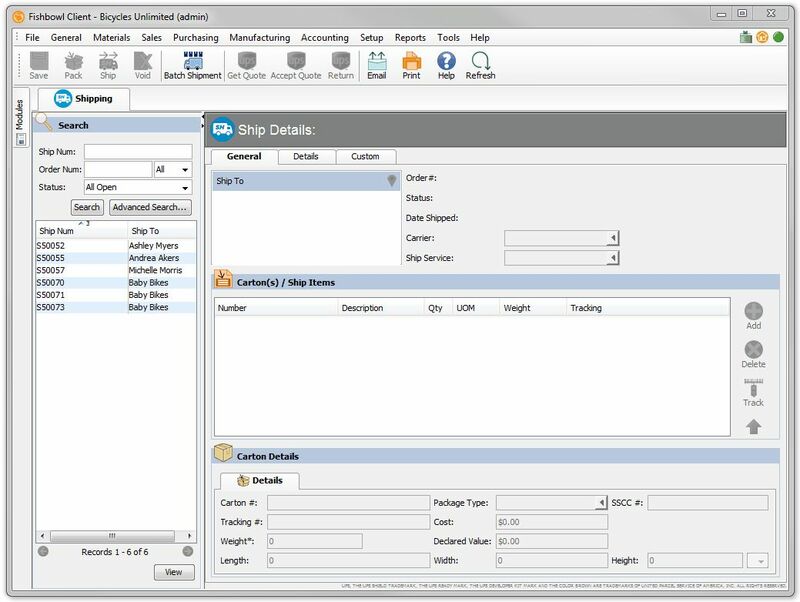 Drop Ship Purchase Orders and Sales Orders now have dedicated buttons, allowing you to go directly to the Documents in question. 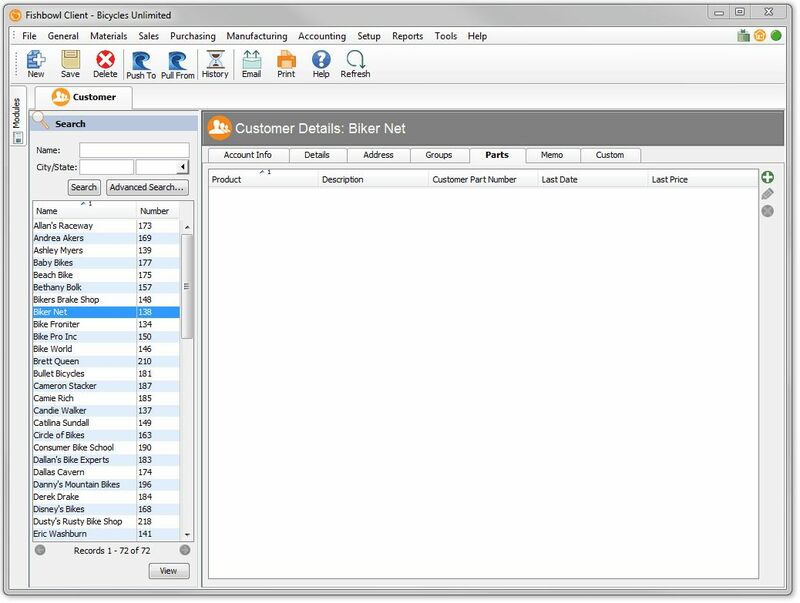 In the Purchase Order Item Details window, a new “Inventory” tab has been added (if you have access rights to view), for the given Part Number. 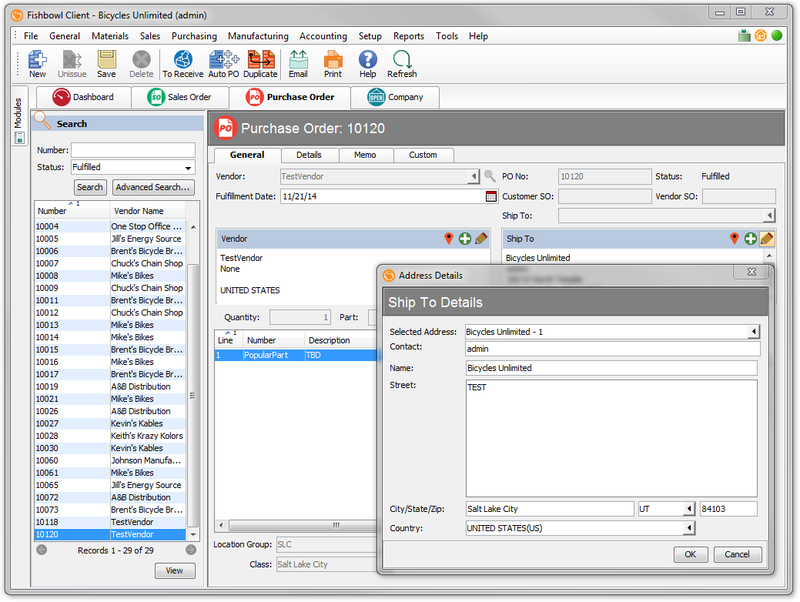 Fishbowl has added the ability to edit the Purchase Order Address after an order has been fulfilled. This is also controlled by a User Access Right. The Quick Ship Wizard is finally really quick. 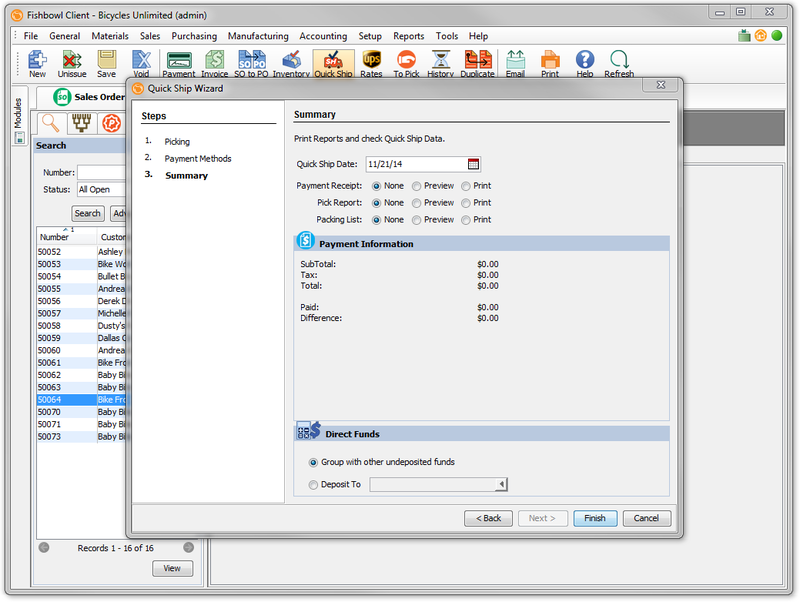 Customers have the option to skip the Picking and Payment prompts by checking the corresponding options at the bottom of the Quick Ship Wizard. Once done, this would allow you to go directly to the Summary Page. Click once to open the Quick Ship and once more to Finish the Quick Ship. 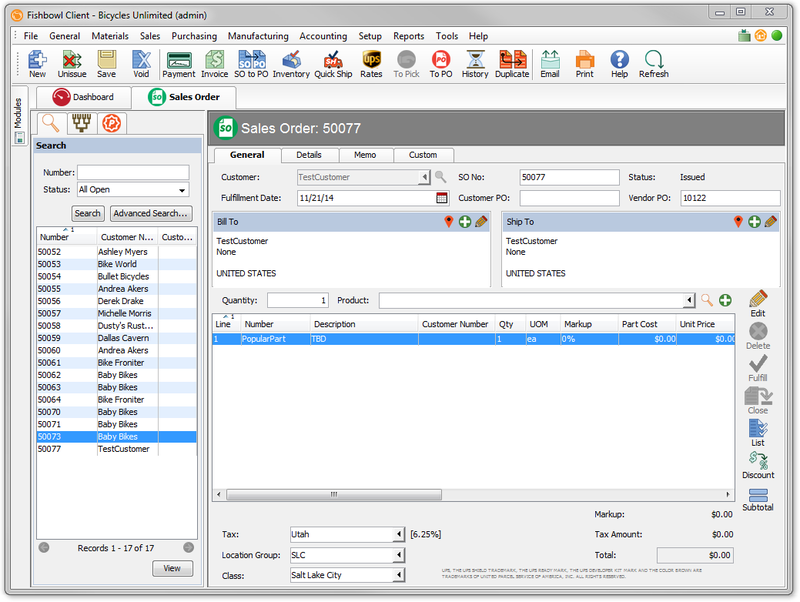 Many of my customers will use the SubTotal Line to apply line item notes into a Sales Order. 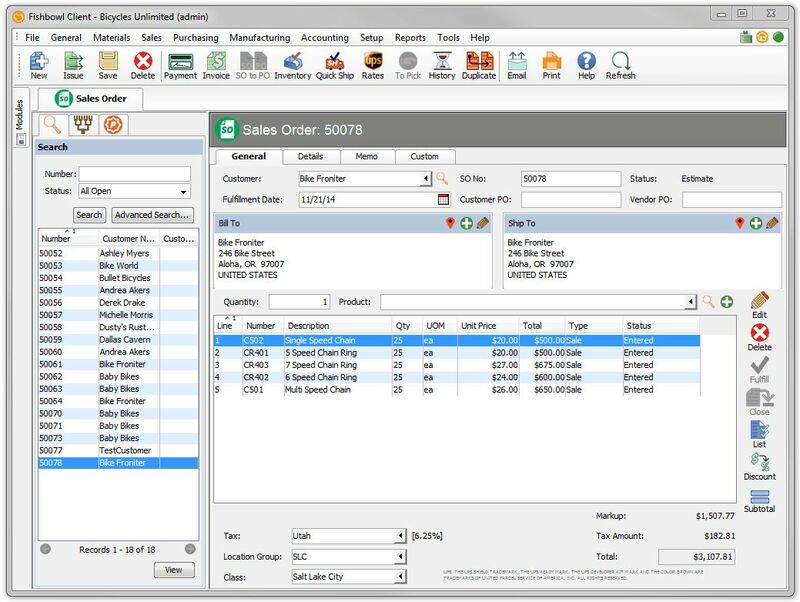 Now a Line Item Note can be added to the sales order, without interfering with Invoicing in QuickBooks. 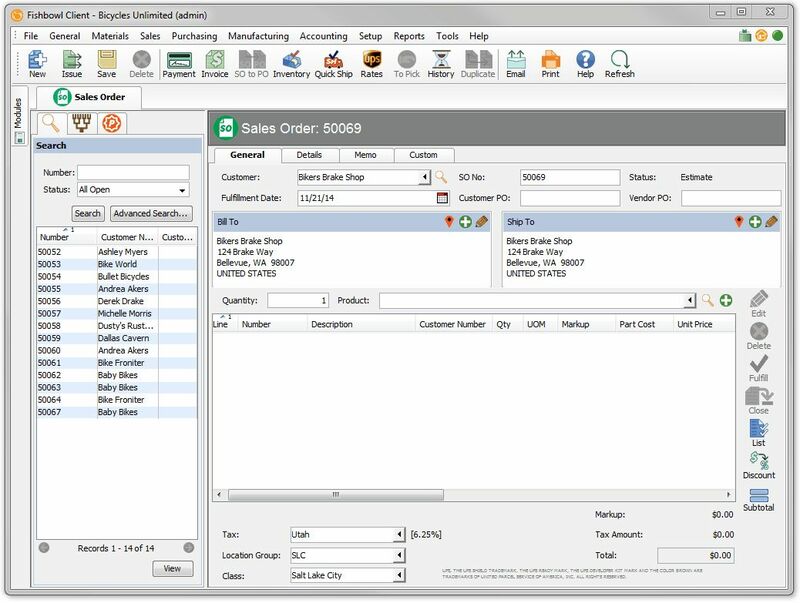 A new feature called “Show Markup on Sales Order” allows the Sales Order to display the Part Cost and the Markup Percentage of a given item. This only works for NEW items added AFTER the module has been turned on. You can edit the Markup Percentage, Unit Price, Total Price, and the corresponding fields will update at the same time. 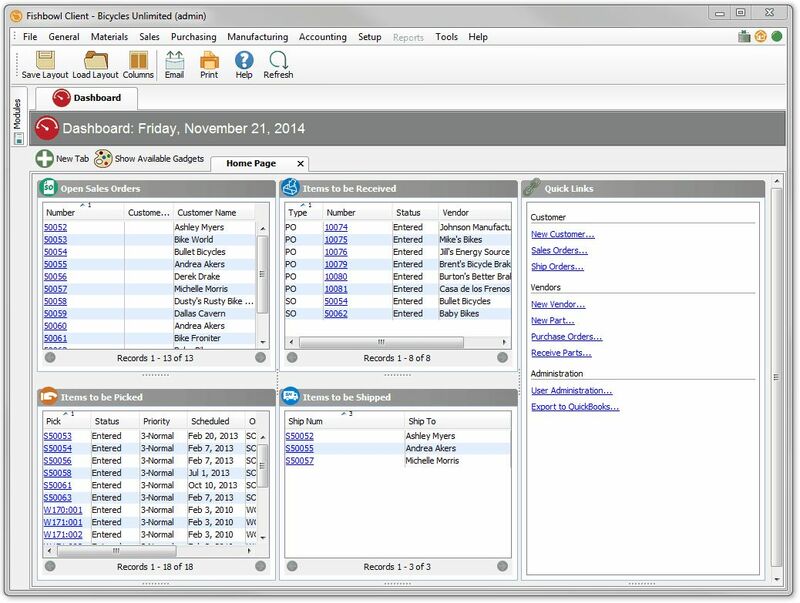 My Construction / Service companies that rely on creating additional Customer/Jobs inside of Fishbowl to track sales will love this time saver. When you create a new Customer Job, the bill to information is copied from the Parent. 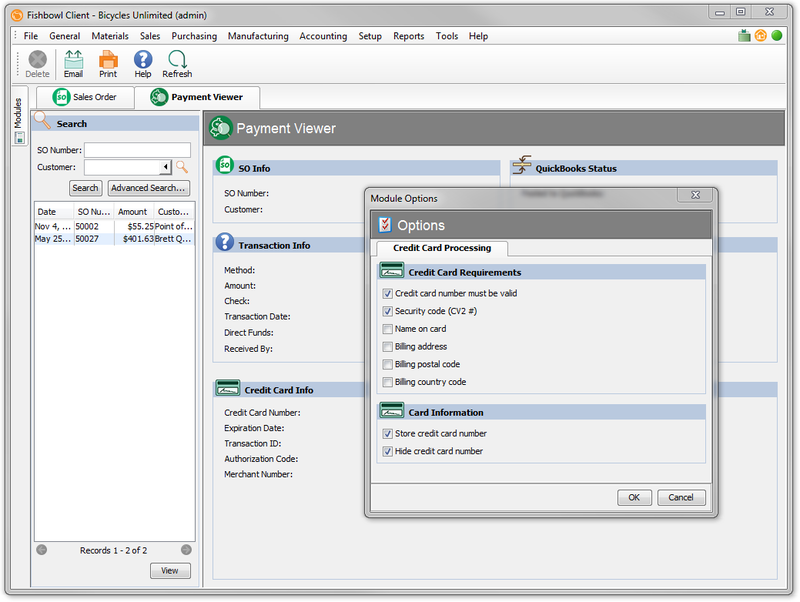 To support additional PCI compliance, Fishbowl has added two new features. The ability to Store or to Not Store the Credit Card Number, and whether to Hide/Not Hide the Credit Card Number. If you uncheck “Store Credit Card Number,” the existing credit card details saved will immediately be deleted and can be recovered only from a back-up. With the addition of the UPS Integration in 2014 came the ability to specify a carton’s “Package Type” I have used this to great success for my clients who have mixed dimensions less than truckload freight and needed to describe the freight to their freight companies on documents and for customers packing slips. However, it never really resolved the issue that “Cartons” is what you see on the screen, and that is not what all companies call their shipping items. Here I rename the “Carton” to “Pallet”. A quick log out and log in will reveal the update. A lot of power users will love this feature. From within any Report, you can click a new button called “Window” which makes a copy of the current report you are viewing in a separate Window. 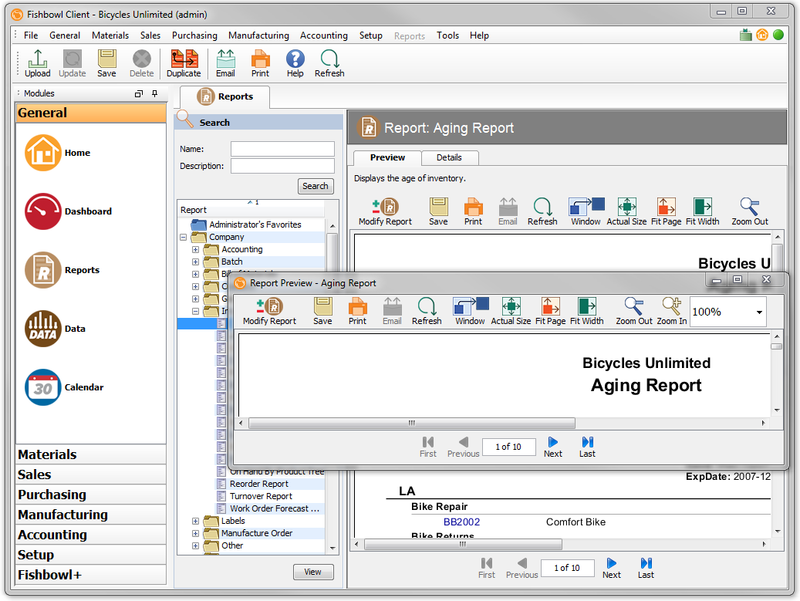 Professionals who have multiple screens will make the most of this feature as you can now have a collection of reports with various changes on your screen at once. Previously if you wanted to test your email settings you had to save them, open up a report to email, compose a message and email it. Now you can send a test email from within Fishbowl. 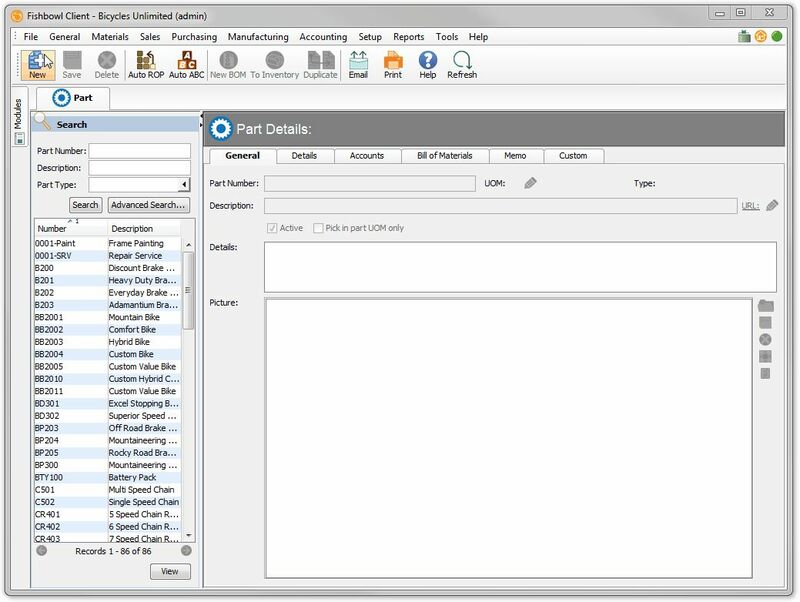 In the Bill Of Materials Module, the Add Item Wizard has an option to restart the Wizard if you need to add more items to this given Bill of Material. Now, adding onto the Fishbowl Inventory Server log out delay feature, the User Prompt that appears has a live countdown timer. So if you had walked away from your desk and your admin gave you a 15-minute countdown, it would update to the exact time you had until the server shutdown. Now any module that has the URL field will rename its clickable link to the value provided. Below, I am adding a URL link to a part of this website. A new option is now available that allows you to create a “View Only” User Group. In the User Group module, create a new group, and under the “All Modules” heading you can click on “View Only”which will turn on the View Only options for all modules. 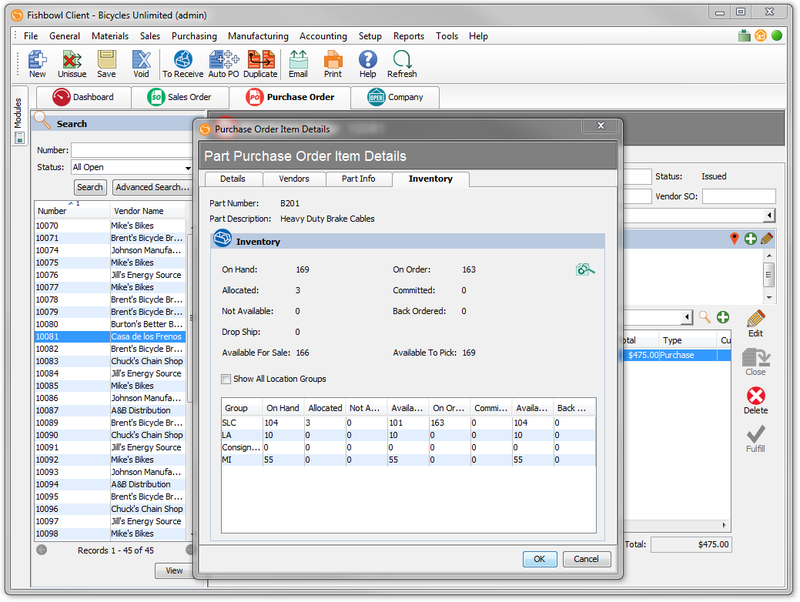 Fishbowl Inventory 2015.1 was released on November 20. 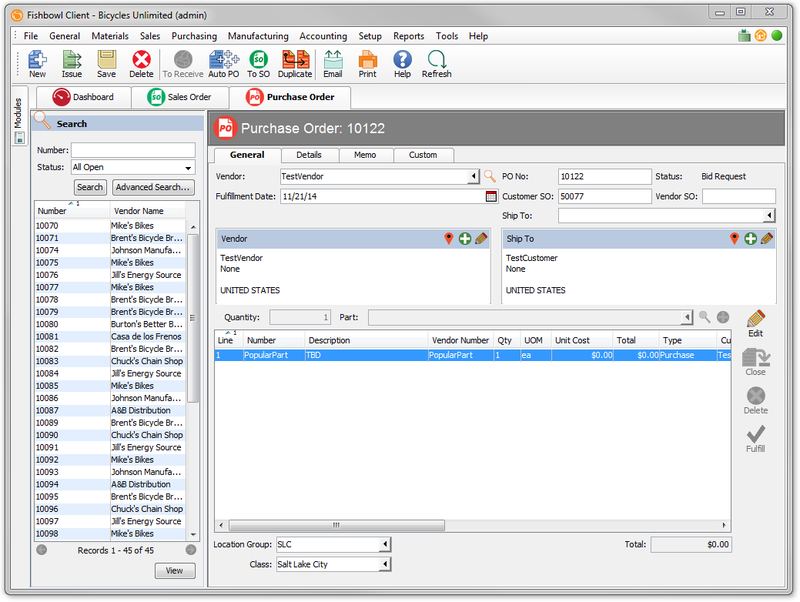 The last popular version before that was Fishbowl Inventory 2014.1 released on February 13. Over nine months of development time went into Fishbowl Inventory 2015. Why? Simply because they had taken on a very ambitious project task: Modernizing a component of their software called the “Persistence Layer.” The persistence layer is software that sits between the database and the rest of the application – more specifically between the Database and Business Rules. From my previous post I have provided a diagram that I feel is useful here as well. Since the Persistence Layer is some of the first lines of code written, it is simply by nature the oldest. 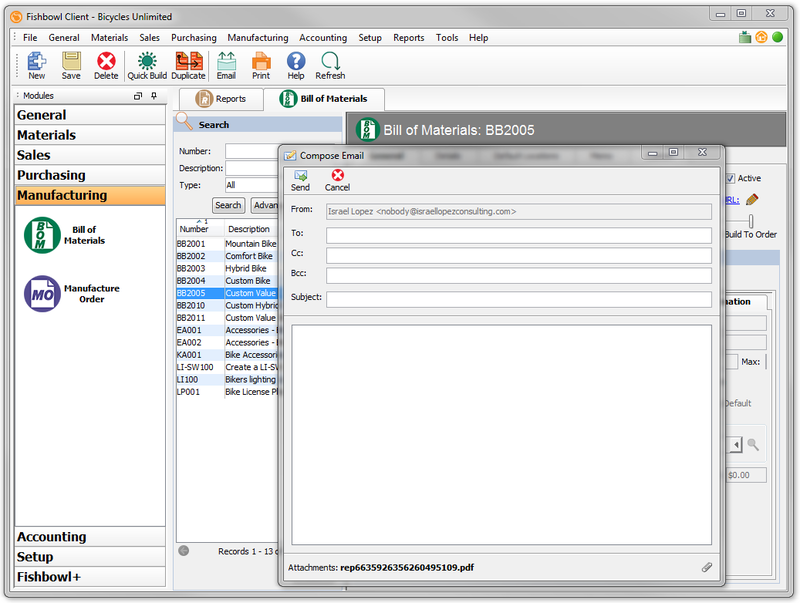 When Fishbowl Inventory was founded in 2001, this Persistence Layer was developed with the concepts and designs from that era: before Solid State Disks, before the prevalence of Modern caching techniques. Coincidentally, the technology that Fishbowl is using for its “Persistence Layer” (Hibernate) happens to also have started in early 2001. It did not really become accepted until 2004-2006, much later in Fishbowl’s development cycle. However, in late 2013 and early 2014, the internal push for a stable Persistence Layer became too hard to ignore, so Fishbowl decided that in order to better the product and aim higher that it had to take this project head on. In layman’s terms, this is the software equivalent of open heart surgery. Fishbowl made the decision to stop additional releases and features until the Persistence Layer Modernization was complete. So the product had to sit on the market without any additional changes until this project was done. 2014 was tough, while 2014.1 was a great release; the software simply could not be competitive if new features were not added; especially with an update that has no discernible visible changes. It was by all intents and purposes an internal improvement. Everything you see in this release is the direct effect of Fishbowl making things better. If you have any questions on how to best utilize these features, please contact us.